Individual game tickets for all Texas Rangers home games except for Opening Day will go on sale March 1. And when the tickets go on sale, the prices will be lower than they were last year in most cases. Approximately 94 percent of the seats at Rangers Ballpark will have lower prices this year than they did last season, accounting for more than 34,000 seats at the ballpark. "We look at ticket prices every year," said Rob Matwick, the club’s executive vice president of ballpark and event operations. "We’ve got to be affordable. With 81 games, 48,000 seats, we have a lot of capacity. Like any baseball team, season tickets are first and foremost. You make your living by building that season-ticket base. We also want to try to be affordable for families and have price points for everyone." Matwick said the season-ticket sales are in the "mid to upper teens" but that the club is still in the renewal process. The club eclipsed 20,000 in season-ticket sales the last couple of years and that’s the intent this year as well. Matwick said it’s important that fans buy individual-game tickets as soon as they know they want to go to a particular game to insure they get the gate price. That’s because the Rangers are expanding their dynamic ticket pricing program this year to all individual seating categories for all games. That means the prices can fluctuate based on the demand and could go higher or lower as a particular game approaches. In addition to the change in ticket prices, the club is also decreasing the number of premier games from 36 to 28. Those games come with higher prices. One ticket that won’t go on sale March 1 is for Opening Day. The March 31 game against Philadelphia, which starts at 1:05 p.m., will once again be subject to a random drawing. Beginning Feb. 3 fans can go to texasrangers.com/presale and register for a chance to buy up to two tickets for that game. Following registration, which ends Feb. 19, a pool of winners will be randomly selected and have the chance to buy tickets. The 10-game ticket plans, which go on sale Jan. 16, also include a free ticket to Opening Day. 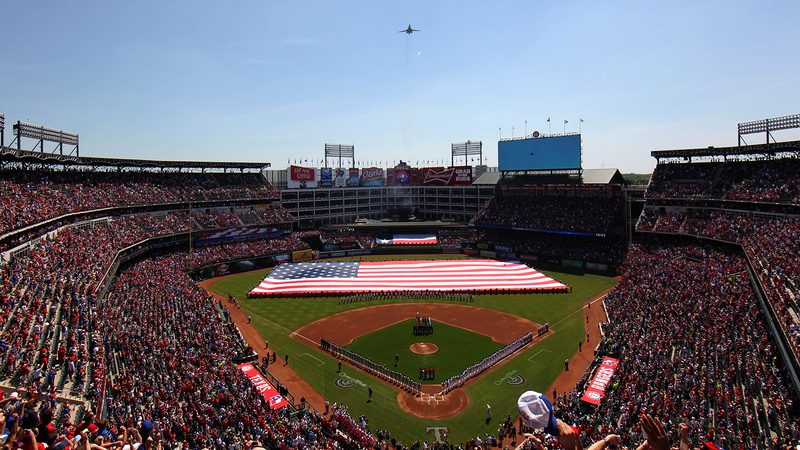 The fans that do go to Rangers Ballpark this season will once again notice some changes. The section in left-center field that was known as the Diamond Club will be the Jack Daniel’s Club this season. It will be open to all season ticket holders before and during games and the club will have a full buffet and bar. The club is the biggest part of this year’s renovations at Rangers Ballpark. This is the fourth-consecutive offseason the Rangers have made changes at the ballpark at a total cost of approximately $40 million. This year’s renovations will have a price tag of about $4.5 to $5 million. In addition to the Jack Daniel’s Club, the Majestic Grand Slam gift shop is getting new fixtures put in and it will be closed until March. The new gift shop which opened behind home plate last year is still open. The upper level suites are also getting new padded seats in all 69 of the suites. New lighting is also being added to the exterior of the park.